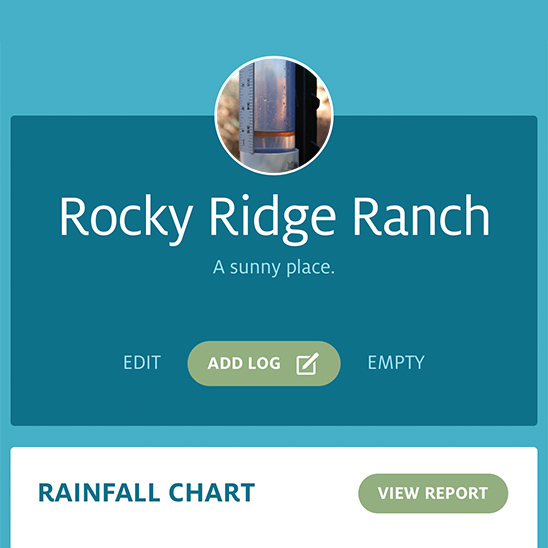 Designed with rangeland management in mind, this app brings together cutting edge web technology, climate data, and visualization tools focused on collecting and analyzing cumulative precipitation from remote, unattended rain gauges. 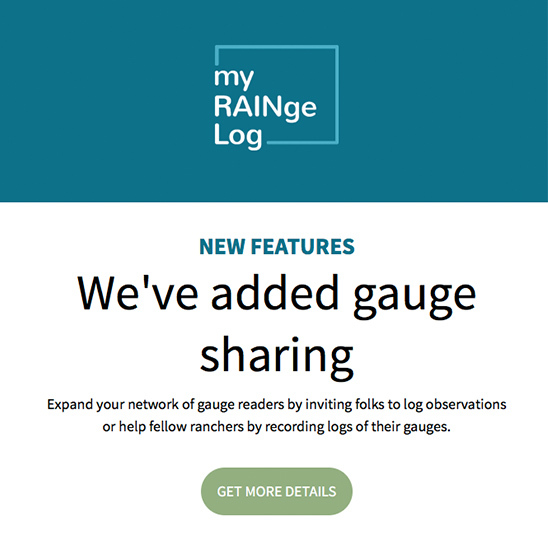 It emerged from discussions with ranchers and land managers on the need for an online tool specifically designed around the type of infrequent, cumulative precipitation observations often collected at remote, rangeland sites. It adds unique ‘climate context’ and near-real time precipitation alerts based on gridded climate estimates. 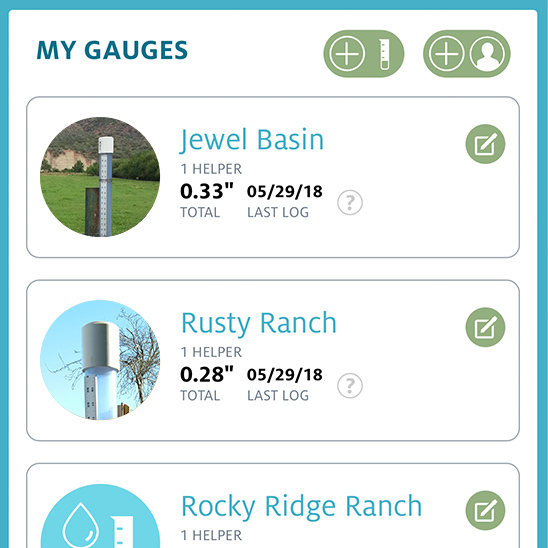 Overview of all gauge activity easily accessed from one screen to help users manage all of their rain gauges. Identify each gauge by title, location, description of terrain and site photos. 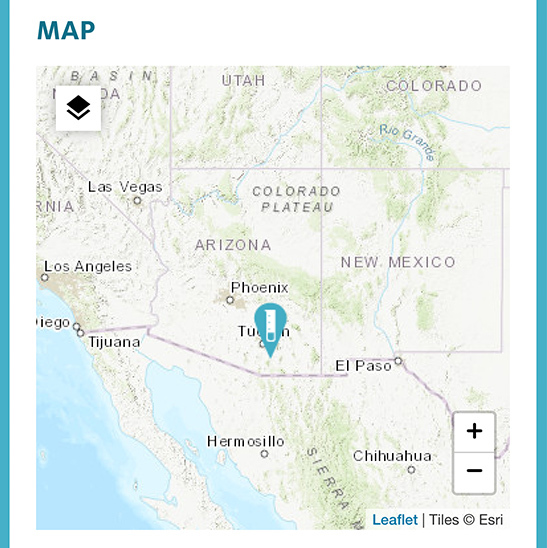 Smart map locates user and surrounding gauges to give user a birds-eye-view that helps them manage all gauges. 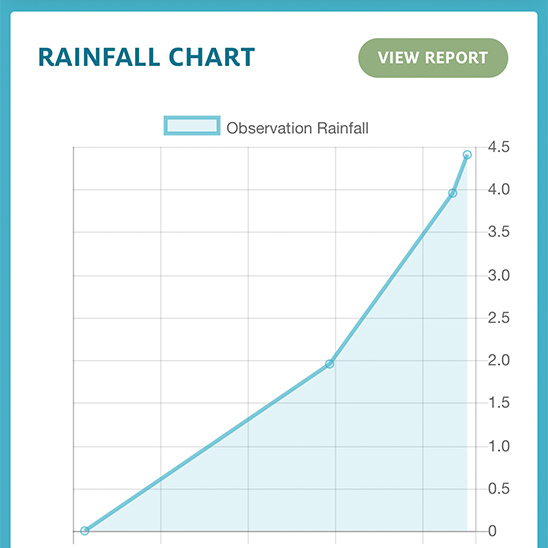 Quickly record last rainfall observation and the app will report any differences to reveal accumulation patterns. 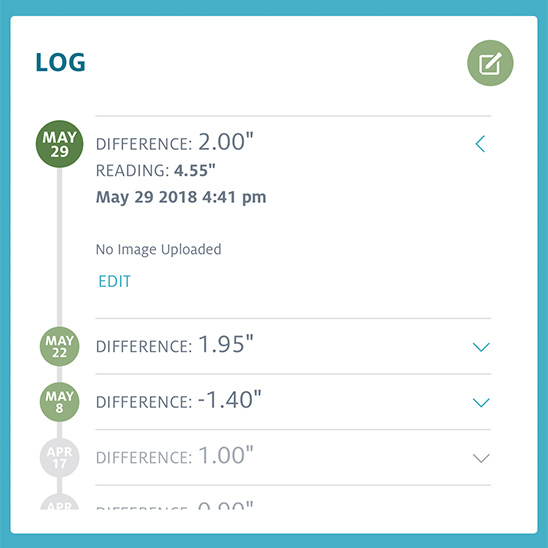 Visually track each rain gauge to compare it to real-time estimates and historical values to identify potential drought conditions. 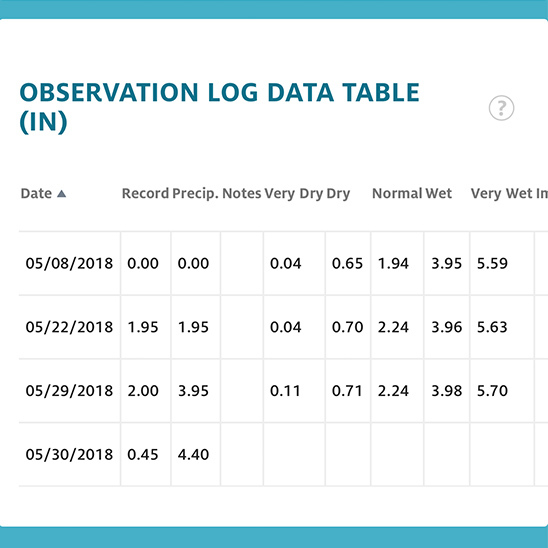 View chart of observations against historical data, gauge map, and data log of observations, then share it with others as a URL or PDF. 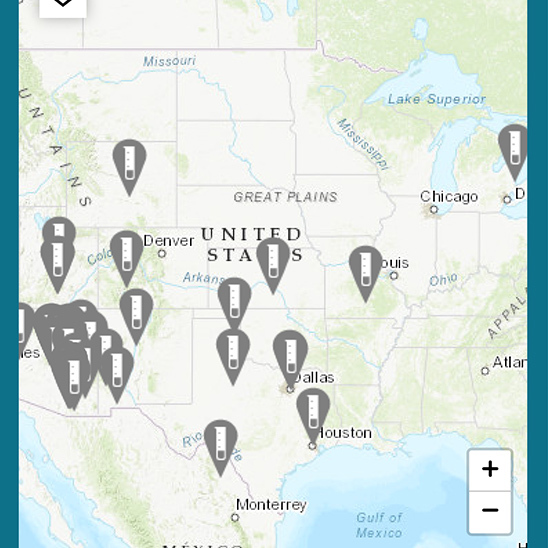 Interactive map displays public rainfall records logged by our community to offer ranchers and land managers a bigger picture of their region revealing broader rainfall patterns. 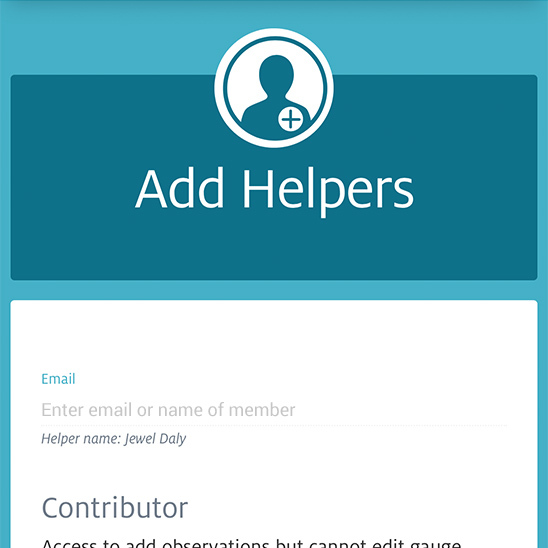 Active members can collaborate with others on gauge details as a way to foster communication among their teams, neighbors and community. Education and training is offered to the public through a series of workshops and email communications that connects and keeps our community informed of new features.